1. Click on a video you want to download and click on the three dot icon at the bottom right of the video. 2. Click Download to Watch Offline. 3. The video will start downloading and will show what percentage it is at in the downloading progress until the download is complete. 4. 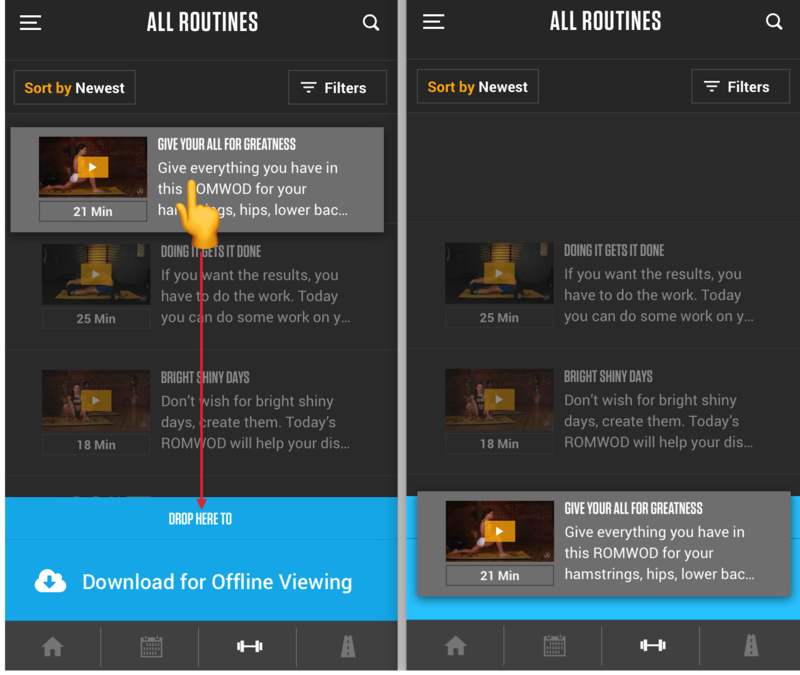 If you navigate away from the video, you can check the downloading progress by going to the All Routines section. The video downloading progress will appear at the bottom of the page. If the download progress or the download complete banners do not appear at the bottom of the All Routines page, then the video may be finished downloading. Check the Offline Videos section for the video. 5. Once the download is complete, you may view the video in the Offline Videos section. 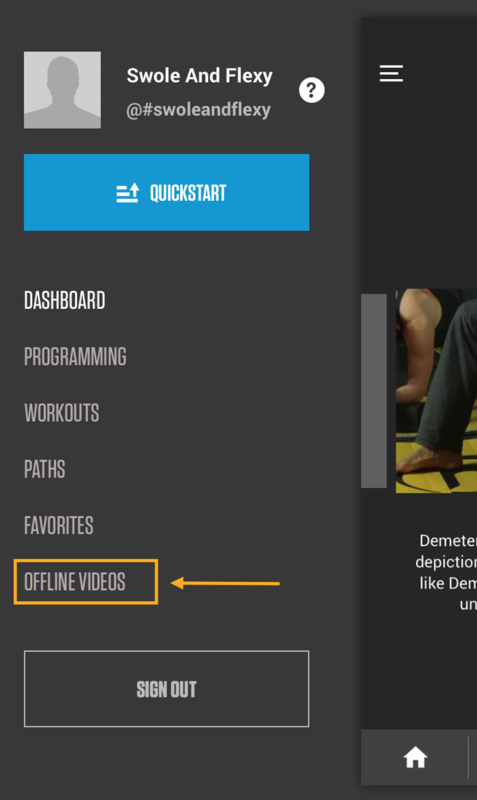 To view the Offline Videos section, click on the three bar icon at the top left corner of the app. 1. 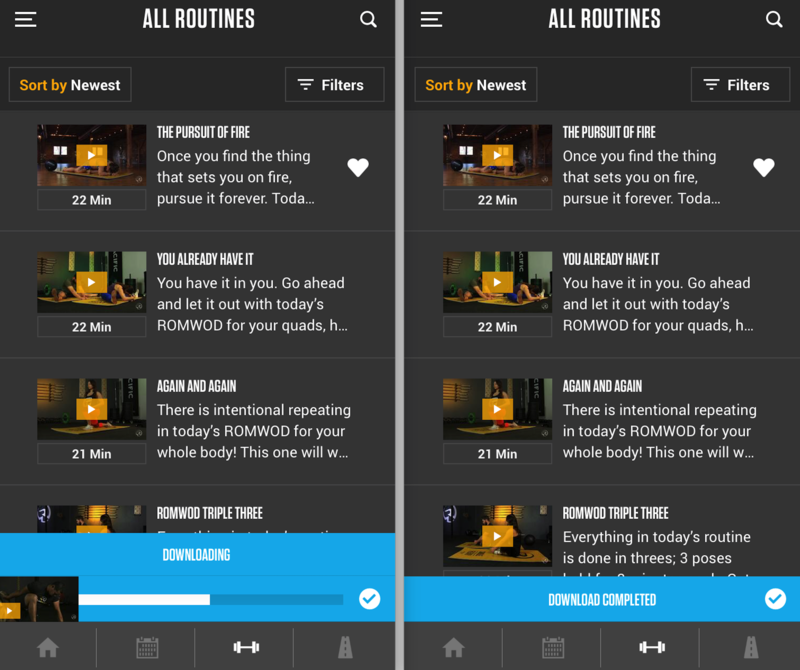 In the All Routines section, tap and hold on the video you want to download. A "DROP HERE TO DOWNLOAD" area will appear at the bottom of the page. Drag and drop the video down to the "DROP HERE TO DOWNLOAD" area. 1. In the Offline Videos section, swipe left over the video you want removed.